By fourth grade I had already entered a world of serious competition. 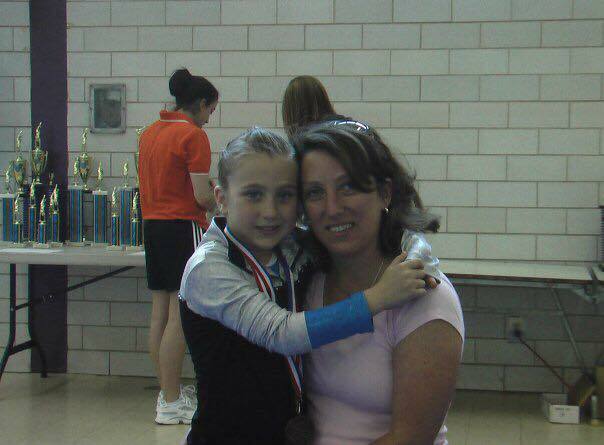 Club gymnastics was no joke. As part of the Junior Olympic program, or “J.O.” as we like to call it, I was practicing up to sixteen hours a week at ten years old. I had no problem with these hours. I drove my parents crazy asking when I could go to practice. I wanted to be in the gym all the time. This last year of elementary school however, was also a time of drastic change. My coach, who had trained me since I was three years old, bought his own gym forty-five minutes away from my house. I had a huge decision to make. I could follow him and make a forty-five minute commute five times a week. Or I could stay at the gym where I had always trained and was only a quick five minute trip from my house. As I would later learn, but could not understand as a ten year old, this choice would impact my life more than anything. At the time, however, the decision seemed easy. Of course I would follow my coach. My parents supported me in my decision, for which I was grateful. After all they had a huge part in it, too, since they would be doing the long drive to and from practice almost daily as I couldn’t drive myself. The only condition they put on me was that my grades and health could not deteriorate because of my rigorous schedule. If they saw this happening we would reevaluate the decision. Yet as the years went by my teachers continued to rave to my parents about my time management skills and how well I kept up with my classes. My grades stayed strong. It wasn’t easy having only two hours everyday in between the time I came home from school and the time I had to leave for practice. Four of the five school nights I wouldn’t even get home until 10 pm. I made it work, however. This commute taught me many lessons. It taught me the importance of getting things done and not procrastinating. It taught me determination and perseverance so that I never gave up no matter how stressed or tired I got. I’m extremely grateful for understanding the meaning of tough love. No matter how frustrated my coaches got with me or how hard they had tobe on my teammates and me, I always knew it was only because they wanted us to be the best that we could be. 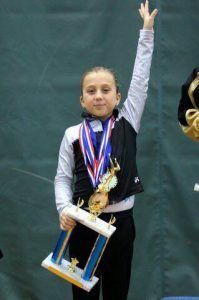 Through the years I sacrificed birthday parties, sleepovers, and after school playdates so that I could spend time in the gym and focus on my next competition. It was worth it. I loved competing. I lived for that moment right before I saluted the judges, when my stomach fluttered with butterflies. In this moment, which felt like an eternity but in reality lasted less than a minute, all eyes were on me and stayed on me as I performed my routines. For the next few years my life held this same routine of sleep, eat, school, practice, compete, repeat. Soon enough though all my hard work was about to pay off.